Over the last decade efforts to change the view of the people of Ethiopia towards women have been enormous. To bring this change, there are offices established throughout the country to work on the issues of awareness raising. However, something seems to be lacking the consideration of 'Folklore' which contributes in the spreading of the negative portrayal of women in the minds of the people using it in their daily lives. 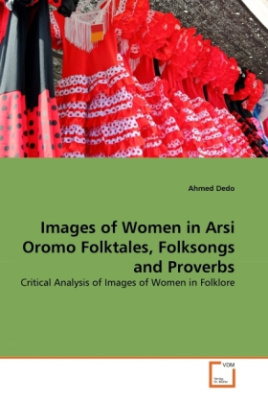 Therefore, this work demonstrates the study carried out to see how women are viewed in selected Arsi Oromo folktales, folksongs and proverbs. By doing so, the study revealed that even though women are crucial as mothers and wives, in much of the data collected their images are distorted and shows that patriarchy has a deep rooted bearing in oral literature.